The Evropska Vodni Doprava operates large cruise boats at the quay beside Cechuv most (Bohemia Bridge) and offers many different cruise at different times of the day. 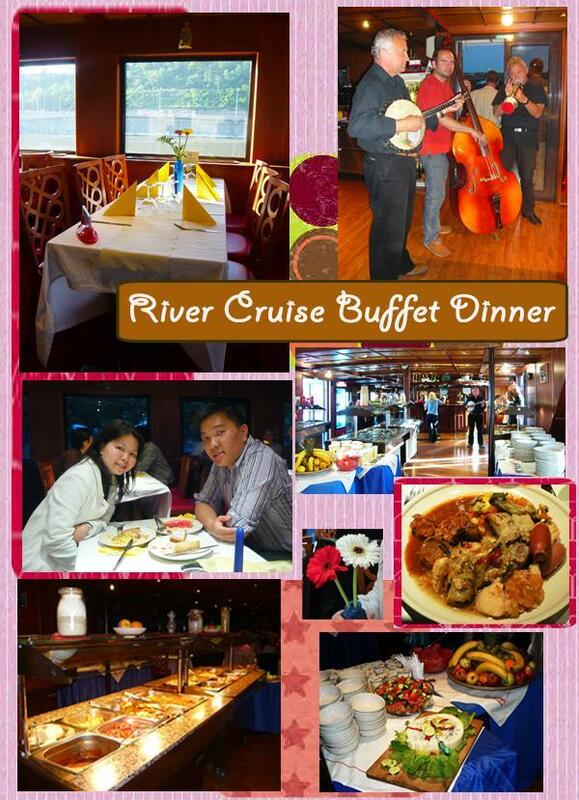 One of its most popular cruise is the 3-hour evening return cruise with buffet dinner and music, departing at 7pm. Adult tickets cost 790 Kc. 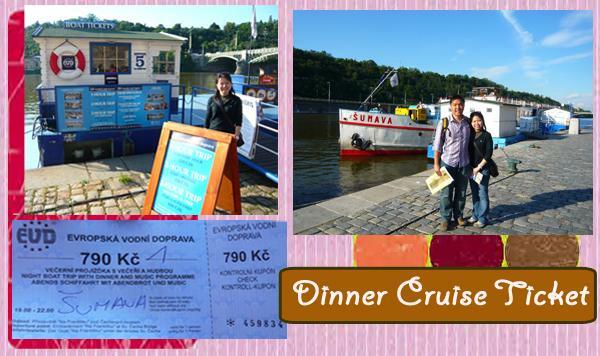 With this cruise, you can see all the important sights around the river (Prague Castle, Charles Bridge, The National Theatre, the Emauzy monastery, Vyšehrad etc). All kinds of meats and fruits are served with the sumptuous buffet dinner is served and there is also live band performances in the backdrop. Interestingly, there is quite some demand for fruits especially bananas. No drinks are served. If you are thirsty, you have to order from their menu. Bottled water on board cost almost 3-4 times that of those sold on land. Wow! Great post and pics, Zhiqiang. I had a great time at Caribbean cruise couple of years ago. We explore with some delicious sea foods, a local music and beautiful destinations.